Grand Power's K22 is top quality, accuracy and has a sleek design. It features a CNC machined steel chassis with no MIM or cast components. The frame has ambidextrous controls, a smooth, crisp double/single action trigger, and modular replaceable backstraps. Its slide features deep front and rear slide serrations for a better grip. 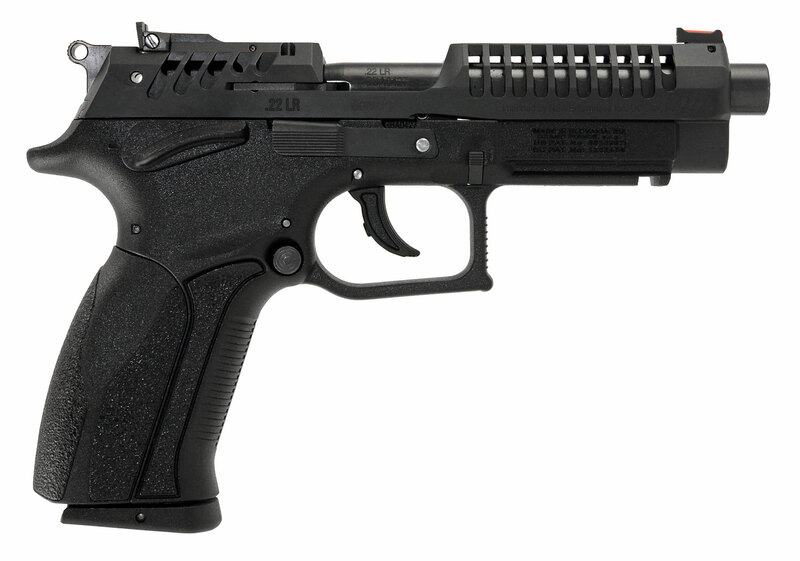 This X-Trim model features a threaded barrel, scalloped slide to reduce weight, fiber optic front and Elliason rear sights, and a Picatinny rail MIL-STD-1913.